What happens when something is sucked into a black hole? Does it disappear? Three decades ago, a young physicist named Stephen Hawking claimed it did-and in doing so put at risk everything we know about physics and the fundamental laws of the universe. Most scientists didn't recognize the import of Hawking's claims, but Leonard Susskind and Gerard t'Hooft realized the threat, and responded with a counterattack that changed the course of physics. THE BLACK HOLE WAR is the thrilling story of their united effort to reconcile Hawking's revolutionary theories of black holes with their own sense of reality-effort that would eventually result in Hawking admitting he was wrong, paying up, and Susskind and t'Hooft realizing that our world is a hologram projected from the outer boundaries of space. 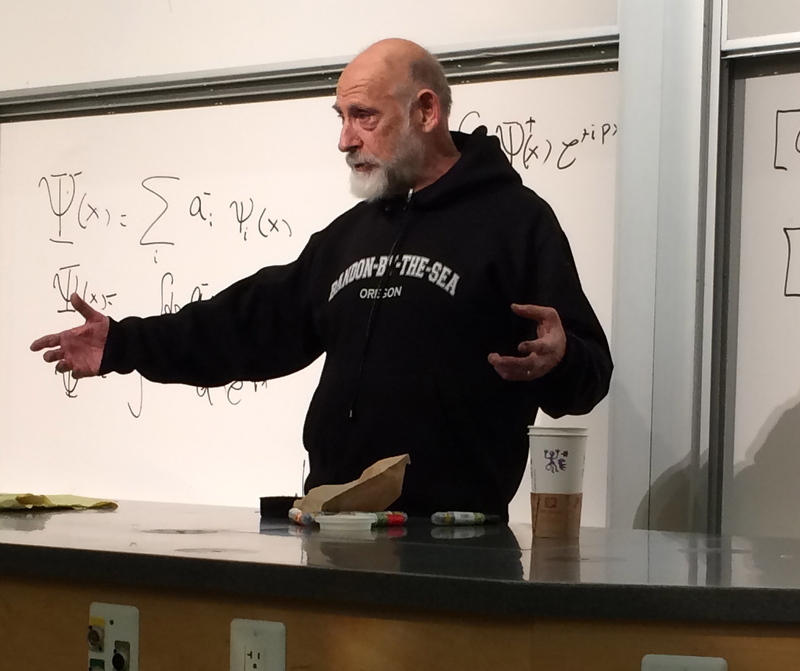 Leonard Susskind (born June, 1940) is the Felix Bloch professor of theoretical physics at Stanford University, and director of the Stanford Institute for Theoretical Physics. His research interests include string theory, quantum field theory, quantum statistical mechanics and quantum cosmology. He is a member of the National Academy of Sciences of the US, and the American Academy of Arts and Sciences, an associate member of the faculty of Canada's Perimeter Institute for Theoretical Physics, and a distinguished professor of the Korea Institute for Advanced Study. Bio from Wikipedia, the free encyclopedia. Photo by Acmedogs (Own work) [CC BY-SA 3.0 (http://creativecommons.org/licenses/by-sa/3.0) ], via Wikimedia Commons.